What Artificial Intelligence can Do for the Travel Industry? The travel industry is one of the most prolific and large industries that stretches from the Pacific Ocean to the Arctic Ocean to the Atlantic Ocean. artificial intelligence travel industry. In fact, the number of people going for high-end foreign tour is drastically increasing.Somebody finds it as once in lifetime, while others make it for every long holiday and some others find it as imperative to feel refreshed. You might have heard of Skyscanner, the world’s one of the most popular travel search engines. This 60 million users’ (per month) travel search engine uses artificial intelligence to automate their customer service process. Skyscanner bot that lives on the Facebook Messenger helps users get fares, travel information and flight options, without being helped by any human. You can ask the bot where you want to go, and the bot gives you the most relevant information in a fraction of second. According to the travel research firm Skift, all sorts of travel and hospitality brands are now integrating AI tech into their search process and chat platforms to enhance customer service and engagement. It looks absolutely fantastic for tech-savvy travelers. Let’s see what artificial intelligence is in brief. What is Artificial Intelligence and How It Works in Skyscanner Bot? Artificial intelligence is a technologyto add human intelligence to machines or software. Artificial intelligence is mainly built on two technologies: machine learningand deep learning.AI learns patterns and generates insights from data.With patterns and insights, AI applications make predictions, recommendations and more. The Skyscannerbot we talked above is powered with two prominent AI technologies: natural language processing (NLP) and natural language generation (NLG). These technologies are capable to understand and mimic human languages. When a user types on its interface, the bot compares it with millions of other similar queries and provides the most appropriate result. Senior editor at Skift, Greg Oates says artificial intelligence can really help personalize the guest experience, as it can consume a vast amount of data and fill loopholes in delivering enriched customer experience. International hotel chain Hilton now has a robot concierge that leverages AI to answer questions.Chatbots on Facebook Messenger helps travelers book flights on-the-move. Top brands like Dorchester Hotels and Edwardian Hotels have got AI-embedded customer relationship management systems to improve customer experience and workforce productivity. Here is aone moreforward-thinkingtravel company that adopted AI to make difference in customer experience. 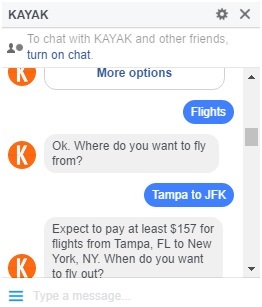 Kayak: Kayak bot deployed on Messenger helps customers find flights, get suggestion, and buy dealsanytime anywhere. Depending on the flight and hotel preferences, the bot offers the most, morenumber of attractive offers in a fraction of second, which is 10x faster than their counterpart humans. AI era has already begun. Forward-thinking businesses are already catching the waves of it. But for those who are still in ambiguity to try AI, this is the time they can work more seriously and get it done. And behind the success of any AI initiative, AI service providers play a key role. If you’re looking for the one, you should collaborate with only right AI service provider or mobile app Development Companythat develop quality-driven chatbots. Hi, I am Modita working as a technical content writer at FuGenX Technologies Pvt Ltd. 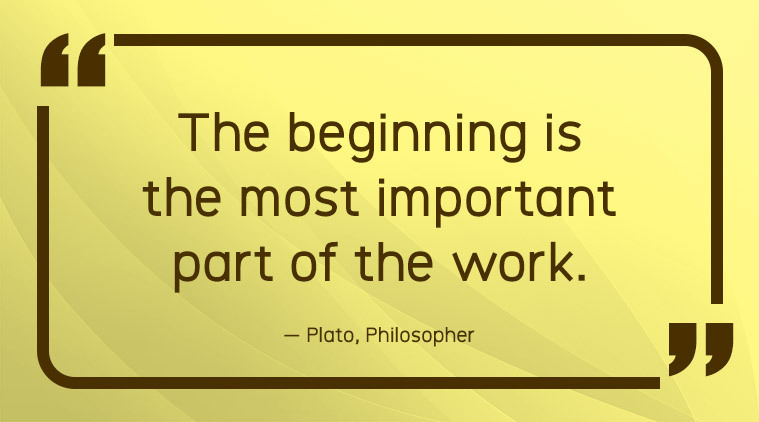 I have always been interested in writing. I like to write blogs on artificial intelligence, business, and marketing. Eatmyhat.net: What Artificial Intelligence can Do for the Travel Industry?